Although Morganite is over a million years old, it wasn’t until 1911 that it was actually called Morganite. It was previously known as “Pink Beryl” up until it was named after a man named John Morgan. Beryl is a type of mineral that has many different varieties of stone and colors. Emerald and Aquamarine are also considered to be Beryl minerals. This stone comes in a range of color to light pink to violet purple. The more translucent the stone, the more valuable it is considered to be! For Morganite’s hardness it is said to be a 7.5-8 on the Mohs scale. 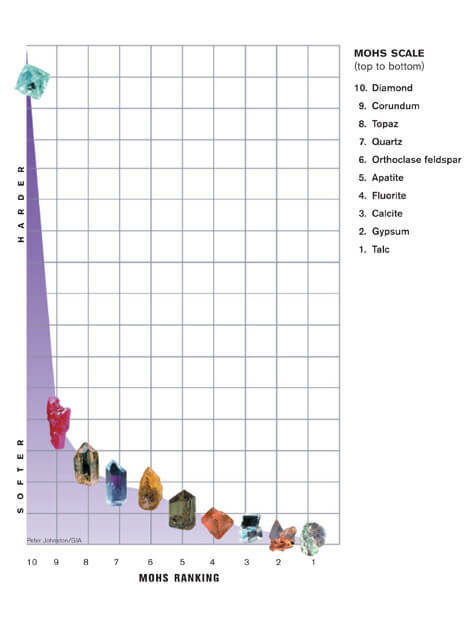 Diamond (at a 10) is many times harder than Corundum minerals (such as a Sapphire) at 9. Morganite isn’t considered to be a hard stone, therefore it is prone to scratches and chipping. Replacing this stone in jewelry is not considered to be uncommon.